Denise Payet, a Commonwealth Games record? The question is posed; has Denise Payet created a record at the current Gold Coast 2018 Commonwealth Games? She has won a medal on debut in the prestigious multi-sport event and without ever competing! She was a member of the England squad that won bronze in the Women’s Team event some two days prior to making her first appearance in the prestigious event on Tuesday 10th April. However, throughout the selection was Tin-Tin Ho, Kelly Sibley and Maria Tsaptsinos; always she was resigned to the bench. Has that happened to any athlete in any discipline at the current Games? Perhaps in the table tennis events in 2002 in Manchester it happened but on that occasion everybody was on debut. However, did not every player in a medal winning team compete at least once; since that date it’s difficult to identify a player who won a medal in the table tennis competitions on debut sitting on a bench. However, there is one fact of which I’m sure; she is the youngest! Denise Payet was just over one year old when the Commonwealth Games were held in 2002 in late July and early August; she is 16 years old. “Sitting on the bench, supporting the girls, I was so nervous. It was great to be in that atmosphere. I wanted them to win so much.” Denise Payet. Denise Payet is from Enfield, it is suburb of north London; the local football team is Tottenham Hotspur. She is member of the Ellenborough Club, a club with deep traditions from which England internationals have emanated, the name of Graham Sandley comes to mind. 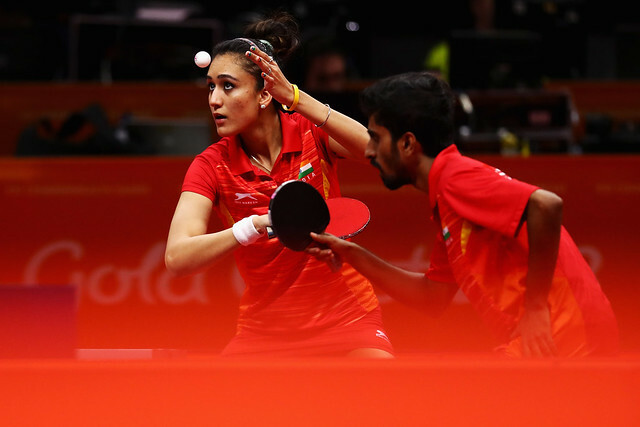 Resigned to the bench in the Women’s Team event, in the Women’s Singles competition she could not have made a better start. She accounted for Ruqayyah Kinoo of Mauritius in four straight games (11-2, 11-4, 11-7, 11-2). Goals for junior level but what about the Birmingham 2022 Commonwealth Games; just a drive from Enfield up the motorway? There is every possibility; she displayed very good technique and composure in her open contest.